It was love at first stroke. And I knew it was going to be for life. There are colours I like on my lips. But love, red is the only one. 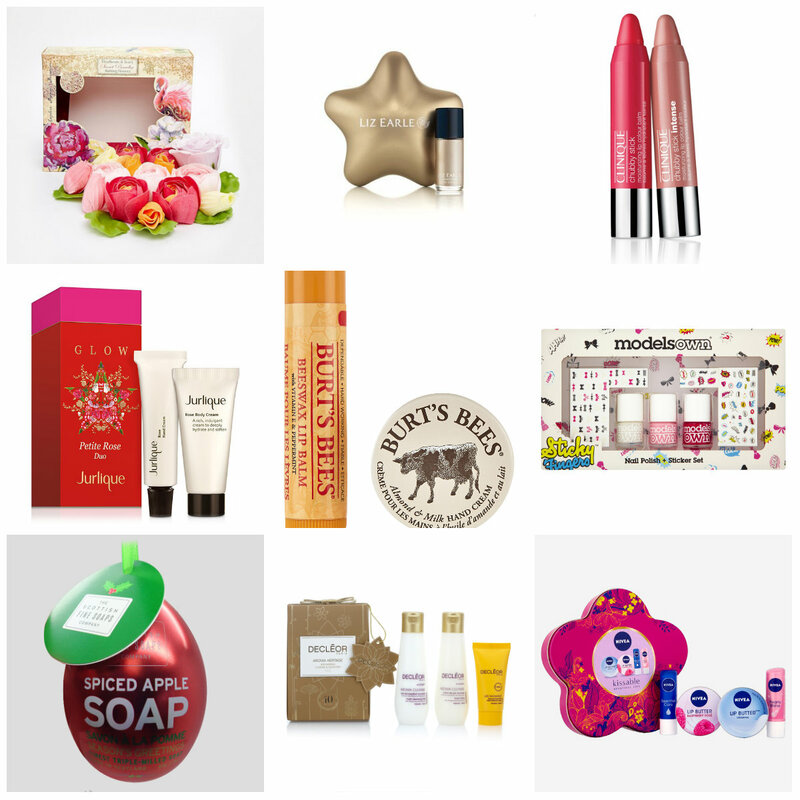 Being a 90’s teenager meant nothing but lipgloss coloured (?!) my lips for a very long time. Until I had the red lippy epiphany and my life was never the same. I realise THAT is my real self – the expression of my personality via a red lip. I consider myself quite fortunate as blue-ish, orange and true reds suit my skin. Being olive-skinned, the oranges do look much nicer, but jointly with MAC’s Lady Danger (which I believe is the best shade for me), Russian Reds reigns. However, there is nothing worse than a badly applied red lipstick (I lied, there is, but for dramatic purposes, I won’t elaborate), and lots of people ask how I do it and keep it all night. Well, I’ll tell you how. It happens in stages. At the moment, my skin is extra dry – weather and medication being the culprits. Look after your lips. I use Lush’s sugar lip scrub to exfoliate. When my pucker is feeling rougher, I do it every night. If not, from time to time, when I need. My dad used to tell me off an awful lot when younger “Ni, stop licking your lips”. Well, no surprise, he was right. Avoid. Use a balm instead! Use plenty of lip balm when not wearing lipstick. I apply every night before bed, generously, without fail. It is part of my night routine, just as cleansing, toning and moisturising. I realised some make my lips drier, even though they work for most people. 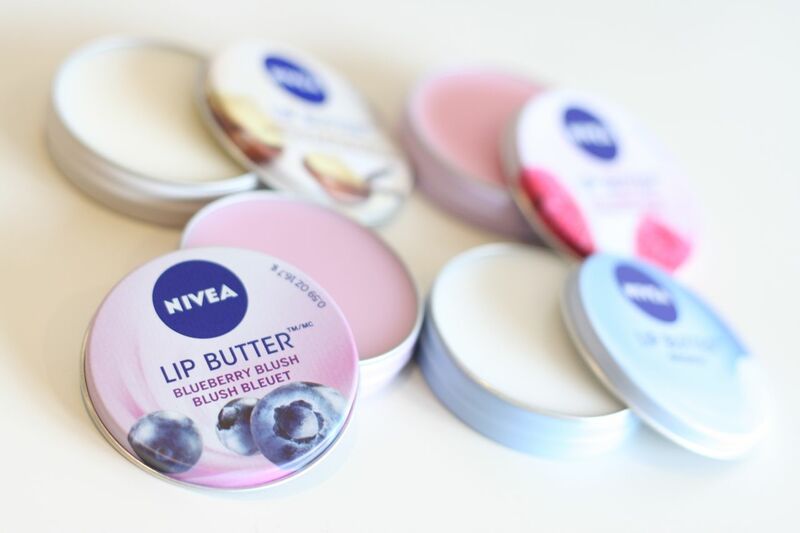 At the moment, I am loving Nivea Lip Butter, any flavour! For unexpected roughness and dry skin, put some lip balm on and use a toothbrush to gently scrub away the dry skin, preparing your lips for colour. When I start my makeup, even before I start prepping, I apply lip balm on my lips. And do my makeup. By the time I get to them, the balm has almost been completely absorbed (I usually wipe if off anyway, not to interfere with the lipstick) and my lips are ready! I don’t use a lip primer, I tried a few but didn’t think it was any more effective than my current routine. First, I line my lips (01). 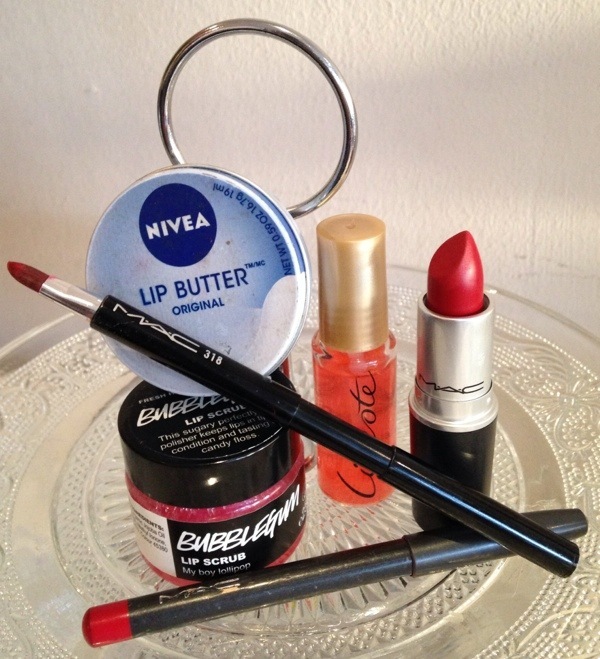 Use a good liner with a colour close to the lipstick. doesn’t need to be the same. I use Redd from MAC with almost any red I have (but not burgundies). If I want it a bit more vibrant, I use an orange-y one (Lasting Sensation is a fave). Line within your lip line for a natural effect. I paint a bit of the lip with the pencil (02), to help blending the colours. Then, using a lip brush (MAC 318 retractable lip brush is my godsend) fill the lip, blending the lines (03). I just go over them carefully with the brush. Sometimes I pat a tissue on the lips to remove excess, repeat application and remove excess again. Finally, I apply my saviour product Lipcote (04). I cannot live without it. Really. Make sure you apply it correctly. First, around the edges, then fill the lips. DO not eat or drink for 30 minutes. If you follow the instructions and use a matte lipstick, it is very likely it will hang in there for a few hours, even when drinking, Oily foods will remove it for sure. And that is it! To be honest, I wear red day or night – and highly recommend, as long as you feel comfortable!